2. Motrin in case they start to feel yucky while you're out. 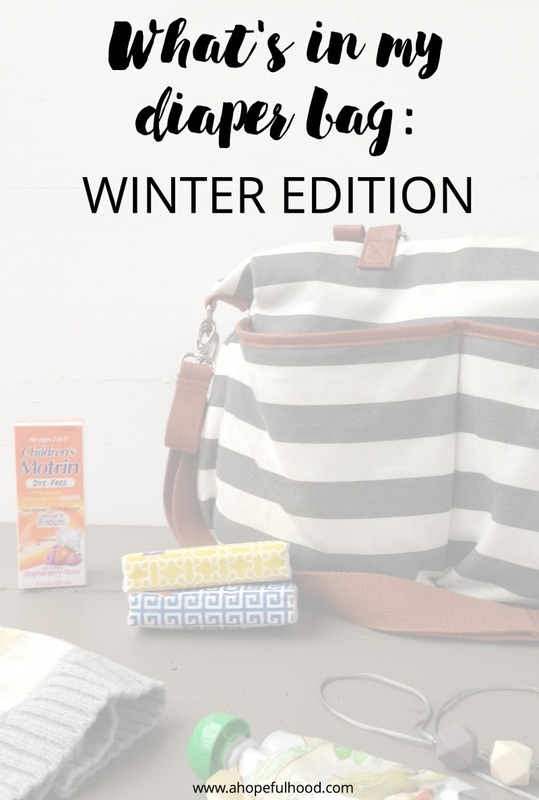 Especially if you're traveling for the holidays, it's good to keep some on hand (thank you, Target, for having literally everything I've ever needed). 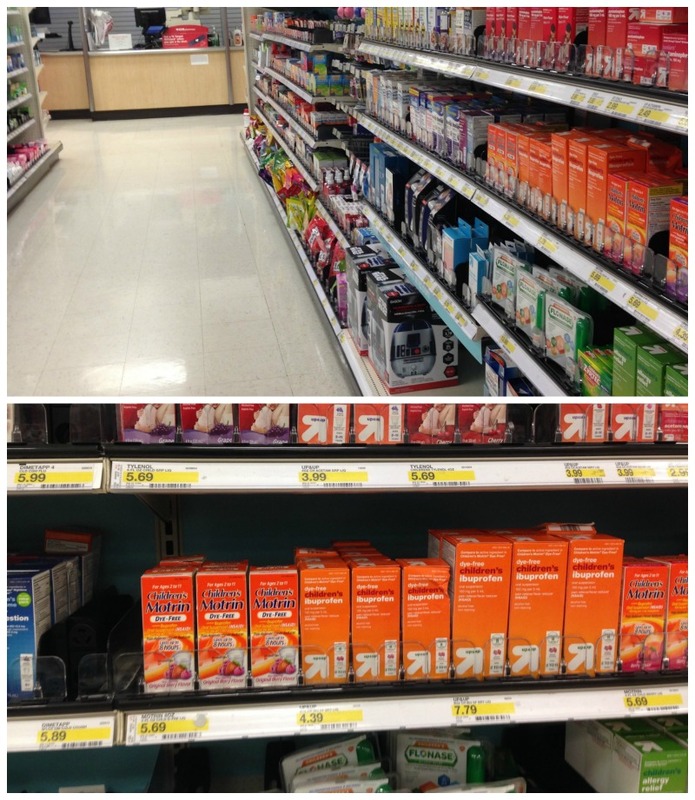 Nothing worse than a teething/in pain/feverish baby when you're far from home! 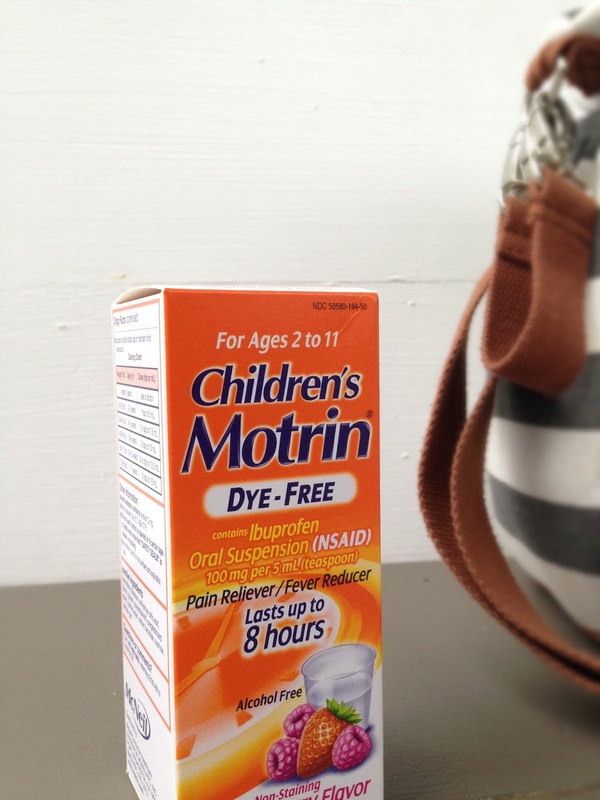 We use the infant Motrin right now, but my mom friends swear by the children's Motrin with its different flavors. 3. 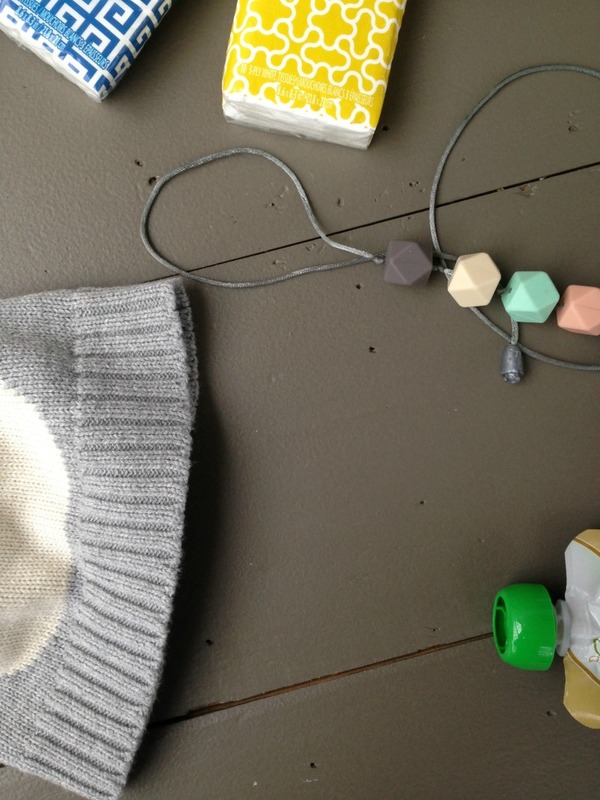 A teething toy, like this necklace for mama that doubles as a teething toy for baby. Not necessarily a winter thing, but mostly an all the time thing! 4. Tissues. We use a Nose Frieda at home, but I am not snot-sucking on the go. The wipes feel kind of harsh on Aiden's face, so I try to keep soft tissues in my bag when he has a runny nose. 5. Applesauce pouches. It's relatively mess-free, and a kid can eat it with mittens on! What would you add to this list? 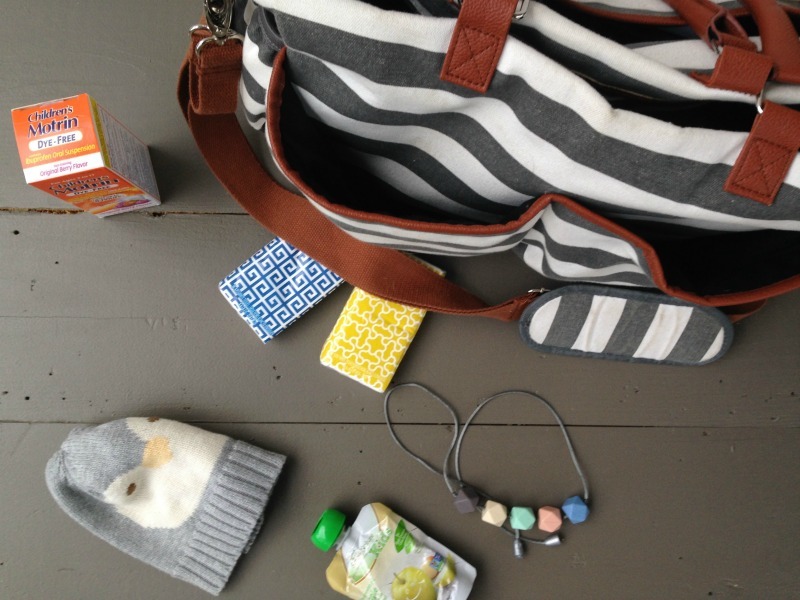 What do you bring along in case your little one gets sick?